Yesterday, something remarkable happened. 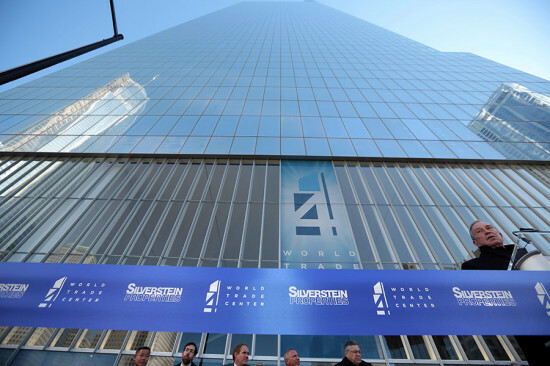 More than a decade after the destruction of the World Trade Center, the walls and fences surrounding a small corner of the site came down and the public was able to glimpse a new stretch of Greenwich Street—which will eventually bisect the site—as well as Fumihiko Maki‘s completed 72-story tower, Four World Trade. The minimalist tower is the first completed building on the site, though tenants will now begin building out their floors. Progress on the site is becoming more evident on the site, with the ribs of Calatrava’s transit hub rising above the fence line, the base of Three World Trade now boasting Richard Rogers–designed trusses, and One World Trade just officially declared the tallest building in the US. The Memorial has attracted millions of visitors and the Memorial Museum will open to the public next spring.